What to do with plastic bags? Melrose residents have enthusiastically embraced single-stream recycling since it started in September 2014. While single-stream curbside recycling no longer requires separating paper from other recyclables, the range of material type recycled remains the same. That means that plastic bags, among other things, are still not accepted for curbside recycling. Why not? Even though plastic bags are marked with the recycling symbol, this material is not accepted for curbside pick-up for good reason: the thin material clogs machinery at the recycling facilities that sort our waste. 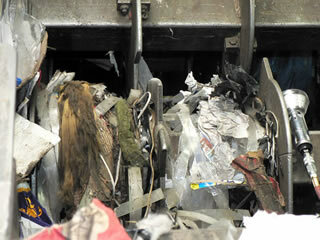 This slows down processing and drives up the cost of recycling. This is true not just for Melrose; very few cities nationally accept plastic bags in curbside recycling. 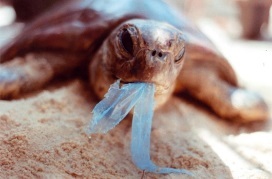 Plastic bags and other thin plastics make up a growing portion of consumer waste. The average American uses an estimated 326 plastic bags each year. Nationally we use a total of 1 billion plastic bags each year, most bags are used only once and for about 12 minutes on average. Only about 5% of plastic bags used in the US are recycled; this means that 950 million thin plastic bags end up as litter, in the landfill, or a danger to wildlife. While we work on more options for convenient recycling of plastic bags, it is also critical to use fewer plastic bags. Start by saying “no thanks” when offered a plastic bag that you don’t really need. A lot of us are on auto-pilot and accept a bag without pausing to ask ourselves if we really need it. Remember, 1 billion bags a year! Used for only 12 minutes on average! Reusable bags are widely available. Some stores like Whole Foods reward customers who bring their own bags with a small refund. If you find yourself forgetting to bring reusable bags, think about the best way to make reusable bags a habit for you. Maybe keep some by the door or in your car? I struggled to remember my reusable bags until I got one that collapses to a small size and fits easily into my handbag. Across the country, individual municipalities and states are implementing voluntary and mandatory policies to reduce the usage of plastic bags. In Massachusetts, Brookline, Manchester-by-the- Sea, Great Barrington, and Marblehead have enacted some form of plastic bag bans and the state legislature is considering a law that would limit the use of plastic bags statewide. Nationally, California and 120 communities have adopted bans on plastic bags. As we head into the holiday shopping season, let’s make it a priority to keep plastic bags and other thin plastic films out of landfills and incinerators. Say “no thanks” when you’re offered a bag if you don’t really need it. Bring your own reusable bags whenever you can. Don’t put plastic bags and other thin plastic films in curbside recycling, even if it is marked with the recycling symbol. 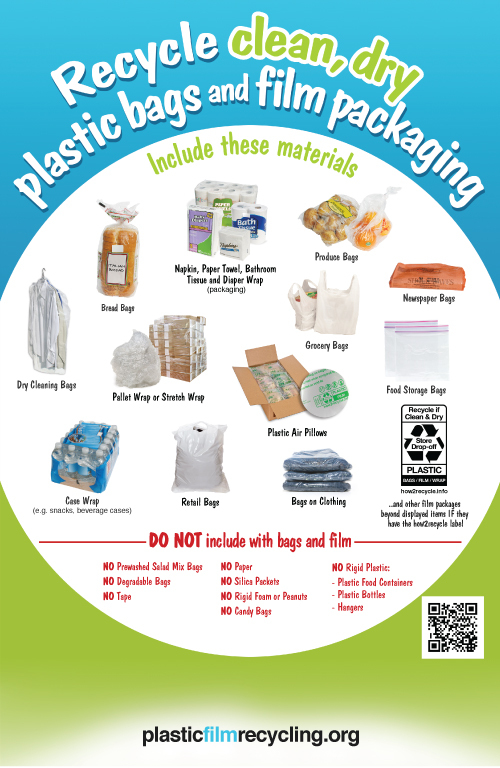 Drop off your plastic bags and other thin films for recycling at the stores listed above.